Google's instant delivery service appears to be experiencing some serious growing pains. Updated from Aug. 14 to include reports of Google shutting down its delivery hubs. NEW YORK (TheStreet) -- Nearly two years after launching its instant delivery service, Google (GOOG - Get Report) (GOOGL - Get Report) is still miles away from realizing the potential of Google Express. Google Express, like Amazon's (AMZN - Get Report) Prime Now, offers same-day delivery to consumers in certain zip codes around the country. Both services deliver groceries as well as some non-food items like clothing. Google partners with retailers including Costco (COST - Get Report) and Target (TGT - Get Report) to deliver their products, while Amazon provides most products from its warehouses, though it recently started partnering with a few retailers. Re/Code's Mark Bergen reported on Wednesday that Google was actually shutting down its two delivery hubs for Express in San Francisco and Mountain View, CA. The company is reportedly talking to startups like Postmates and Flywheel to outsource the delivery. Google, which recently announced a major reorganization under a new parent company called Alphabet, has also been quietly reshuffling its Google Express efforts. The program went through a rebranding from Google Shopping Express to Google Express. And it has switched up its leadership three different times. The creator of Express, Tom Fallows, left for Uber in November. Then the head of Google Commerce, Sameer Samat, left for Jawbone in May. Victoria Ransom replaced Fallows, but just last week Google put in a boss above Ransom, Brian Elliott. He had been a lead on business development for Google's Shopping unit, which adds commerce capabilities to advertisements within Google Search, since 2013. While changes in leadership aren't that unusual for Google, it's also hard to ignore them. Perhaps the company is hoping Elliott can bring his expertise from the Shopping unit, which has seen some success with initiatives such as product listing ads. Google declined to comment for this story. Unlike the Shopping unit, Express has a few different issues, according to ChannelAdviser Executive Chairman Scot Wingo, who helps retailers sell their products on various marketplaces such as Amazon and Google Shopping. "The buyer experience is strange" on Express, Wingo said. "It's very far behind the Shopping experience." On Express, the process for listing and finding products is unusual. For example, a large white sweater gets listed separately from that same white sweater in a size extra large. 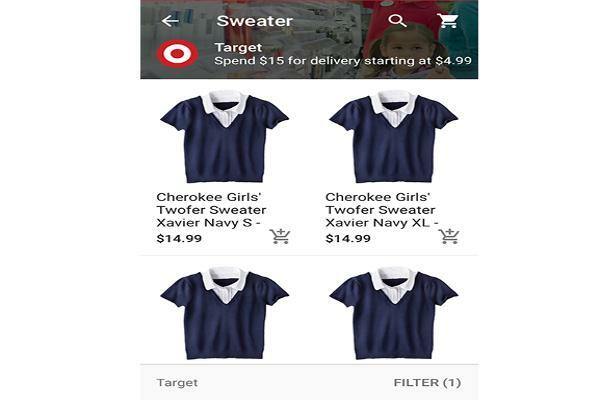 Most online marketplaces will list that sweater and then on its product page offer different attributes like sizes and colors. 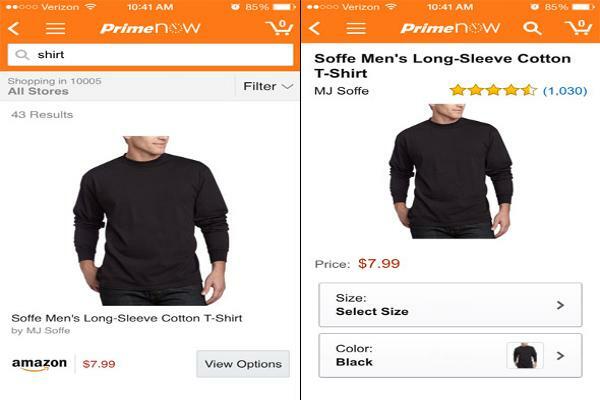 Amazon Prime Now, by contrast, lists it once and then in the next screen lets you select the size and color. Google Shopping offers that same streamlined experience, so perhaps the new leadership will transfer that over to Google Express, too. It's not the most egregious flaw, but in e-commerce, simplicity is the name of the game. "We've heard from merchants that it's pretty complicated, and they tried it and pulled out," Wingo said. Another big challenge for Google is branding. For Amazon, instant delivery is a no-brainer. Consumers think of Amazon as a company that delivers products quickly, so it makes perfect sense that same-day delivery or one-hour delivery would fit into its wheelhouse. Google, on the other hand, doesn't really elicit that same association. Google is a place for search and ads. This is a completely new arena for them. Granted, commerce is a logical followup to advertising. Just take a look at the "buy" buttons Twitter (TWTR - Get Report) and Facebook (FB - Get Report) are adding to increase value for advertisers. But consumers aren't necessarily aware of that tie-in to advertising, and Google will need to convince them that it's the go-to place for instant delivery. "Amazon is probably in the best position at this point because they've been delivering forever," JMP Securities analyst Ronald Josey said. "Google Express is a brand-new service." Perhaps the most important thing holding Google back from overtaking Amazon is the infrastructure behind these delivery services. Whereas Amazon already has its fulfillment centers full of products, Google is working with retail partners to deliver products from those physical stores to consumers' homes. Google's model thereby tends to be a lot pricier because it has to pay for couriers to go around the city and pick up various goods and then deliver them. On top of that, these physical stores carry fewer products than Amazon's warehouses simply because they have less space. A Fairway supermarket in New York City can't hold nearly as much product as an Amazon warehouse out in the middle of nowhere. "There's more profit in the way [Amazon's] tackling it," Wingo said. "Amazon's the best-positioned." Wingo noted that down the line, Google potentially may be able to solve this issue by using driverless cars to deliver products. He also mentioned the possibility of outsourcing to -- or acquiring -- one of the many existing delivery services such as Shyp or Instacart before Re/Code reported that the company is actually in talks with Postmates and Flywheel, two other delivery startups. For now, Express continues to be a pretty minor part of Google's overall business, so it's unlikely anyone at the company is fretting about the service's market share just yet. But in a couple of years, this segment has the potential to actually turn a profit. "If Google Express can really drive more consumer adoption, it's very interesting because [for] partners like Costco, maybe they advertise more aggressively on Google to get that immediate shopper," Josey said. "That's a longer term opportunity." But, Josey added, he wouldn't assume that Google is making any money from Express just yet. The company is in heavy investment mode, having reportedly committed $500 million to the service last year, and it's still in early stages. Nonetheless, this market is one to keep an eye on moving forward. "This last mile delivery is going to be a huge theme for the next several years," Josey said. "It's going to get very competitive."